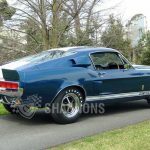 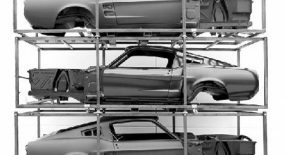 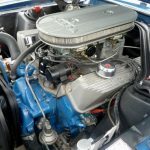 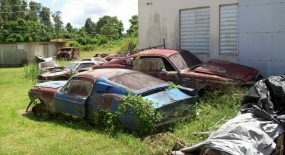 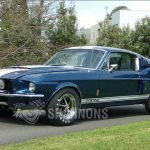 It’s not too often original Shelby GT500’s come up for auction in Australia but that is just what happened in October at the Shannons Motorclassica Collector Vehicle Auction in Melbourne. 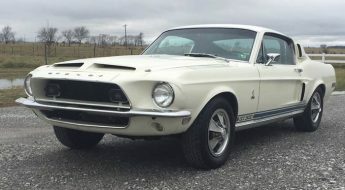 The car in question was 1967 Ford Mustang Shelby GT500 in Nightmist Blue with White Le Mans stripes and Black Deluxe interior. 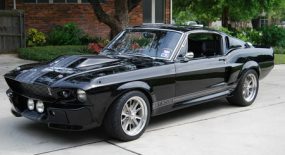 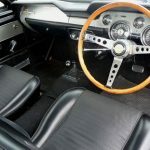 The car is well documented and registered with the Shelby American Registry and has a build number 00500, and was delivered through Hi – Performance Motors Inc California to a Mr John Marshall, who leased the car from the 20th of March, 1967. 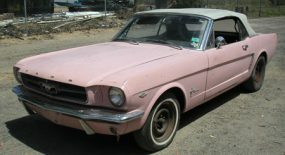 The Mustang was converted to Right hand drive after arriving in Australia early in its life circa 1969 and from there went on to a small number of owners until it landed with the present owner who acquired the car in November 2006 and undertook further improvements to improve the quality and drivability of the car, which included a correct date coded 428 Big Block engine, featuring twin 4 barrel carburettors, correct distributor, new alternator and new shock absorbers with alloy Cobra Le Mans valve covers and Air cleaner. 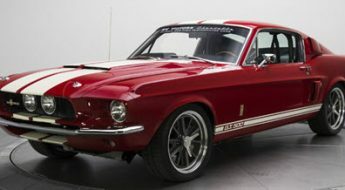 The car sold at auction for a tidy $AUD195,000 which equates to about $US187,000. 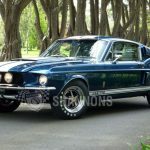 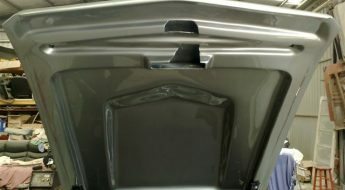 Check out the Shannons site for more info on the car. 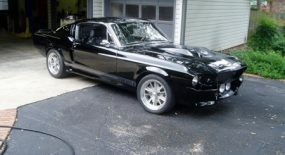 What a beauty. 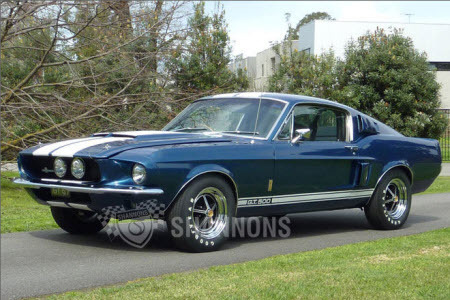 There’s a 67 Shelby here in Perth, although not this one.